For years, the only diabetes-related services covered by Medicare for people at high risk for Type 2 diabetes have been screening tests — usually an oral glucose tolerance test, to see if you’ve developed diabetes. And while it’s certainly a good thing to find out as early as possible if you have diabetes, it’s doubtful that Medicare (the U.S. government’s health insurance program for seniors and certain people with disabilities) actually prevents many cases of diabetes by covering these screenings up to twice yearly. But Medicare officials have long believed that covering diabetes prevention programs — ones designed to encourage weight loss and other lifestyle changes — might have the potential both to prevent many cases of diabetes, and to save Medicare more money than the programs would cost. And, in light of a major announcement last week, it turns out these officials were right. Last Wednesday, Sylvia Mathews Burwell, the Secretary of Health and Human services, announced that Medicare will officially propose covering “lifestyle change programs” for people deemed to be at high risk for developing Type 2 diabetes, due to their having prediabetes or other conditions such as high blood pressure and obesity. After a period of public comment, the proposal will almost certainly go into effect, since it doesn’t require the approval of Congress — just the go-ahead from key officials in the Department of Health and Human Services, of which Medicare is a part. That’s because under a provision of the Affordable Care Act — the landmark health reform law that President Obama signed in 2010 — Medicare can cover health services without Congressional approval if they lower overall Medicare spending and don’t have a negative effect on quality of care. 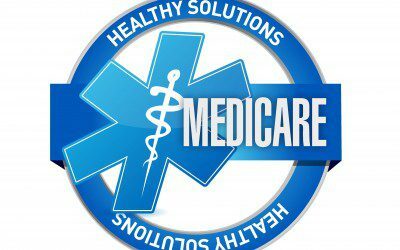 Wednesday’s announcement marks the first time that Medicare has announced its intention to add a service under this provision. As noted in a New York Times article on the announcement, Medicare tested the effects of community-based diabetes prevention programs by giving the National Council of YMCAs a grant of nearly $12 million in 2012. In eight different states, certain YMCAs offered programs with a curriculum approved by the Centers for Disease Control and Prevention (CDC). Doctors in these states referred patients to the programs. According to federal officials, the average amount of money that Medicare saved for each participant in these programs — over the course of 15 months — was $2,650, significantly more than the programs cost. These savings, of course, came from lower spending on health care for participants, who lost an average of about 5% of their body weight while enrolled in the program. It remains to be seen whether this weight loss, or the associated cost savings, might be sustainable beyond the 15-month duration of the YMCA pilot programs. As the Times article notes, several employers and private health insurance companies have long offered similar programs to people at risk for Type 2 diabetes. These programs exist both as in-person group meetings and online. One company mentioned in the article already offers Internet-based “diabetes prevention services” to more than 45,000 participants, most of whom are covered through job-based insurance. What’s your reaction to Medicare’s announcement — is it a welcome step forward, or long overdue? Would you have been interested in such a program before receiving your diabetes diagnosis (assuming you knew your risk of diabetes was elevated)? Should Medicare cover all types of programs — both community-based and online — as long as they’re shown to save money and lead to better health outcomes? Do you think these programs might be even more successful if they paid participants to lose weight or achieve other health outcomes? Leave a comment below!